Swimming Pool Cleaning Buckeye - Contact Our Pool Cleaners Today! | Universal Pool Service Inc.
With the average summer temperatures being over 100 degrees, homeowners in Buckeye, Arizona can beat the heat by jumping in a refreshing, clean, and sparkling swimming pool. Swimming pools are a great investment for your home, especially if you live in the warm and dry climate of Arizona. While there are plenty of reasons to own a pool in Buckeye, many homeowners do not expect them to be as much work as they are. Because time should be spent in polls rather than cleaning, maintaining, and repairing them, Universal Pool Service, Inc. was launched to cater to pool owners who do not want to deal with the bothersome and time-consuming tasks of owning a pool. For over 15 years Universal Pool Service has been providing Arizona cities with premium maintenance, repair, and pool cleaning services. If you are tired of constantly having to remove debris from your pool, frustrated with pool chemicals, or overwhelmed by the various pool systems, give us a call and let us handle everything. Our affordable pool repairs and maintenance is tough to beat—request a free pool cleaning quote today! We Specialize In Crystal Clear Pools! When you need pool cleaning services in Buckeye, AZ, there are many companies to choose from. However, in order to keep your swimming pool running in optimal condition, you’ll want to hire a pool maintenance company that has the knowledge and experience required, as well as a good reputation. If you look for these values in pool cleaning company then Universal Pool Service is the pool cleaning company that you need! 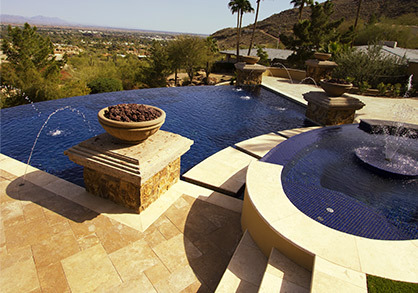 Learn More About Our Pool Services in Buckeye, AZ! Pool Chemical Maintenance – In order to keep your pool clean, safe, and shiny, it requires a delicate blend of chemicals. Without the proper balance of pool cleaning chemicals, pools can develop algae and other troublesome issues. If you need help with adding pool cleaning chemicals to your pool, our Pool Chemical Maintenance is the perfect solution. With our weekly pool service, our maintenance technicians will maintain the proper chemical balance in your pool to ensure it is safe and sanitary. BBB Maintenance – While pools are fun and refreshing, cleaning them can be bothersome and can require some time. That’s why at Universal Pool Service we off our BBB Maintenance. This package includes all the time-consuming tasks that pool owners dread: brushing, backwashing, emptying strainer baskets, and flushing pool filters. Call us today and let us handle these time-consuming tasks to keep your pool in the optimal condition. While having a pool is fun, cleaning and maintaining it is often not. 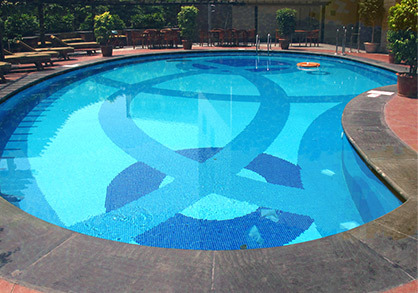 We understand that you want to relax and enjoy your pool, that’s why we offer complete pool services. With these services, you will never have to worry about cleaning, maintaining, or repairing your pool — we handle it all! 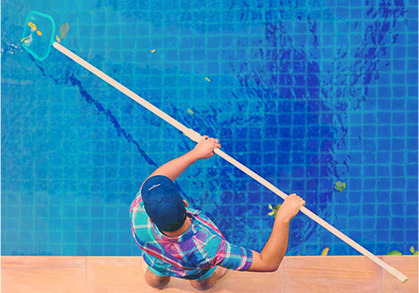 When you hire Universal Pool Services to care for your pool, you can ensure that chemical balancing, filter flushing, and other pool cleaning methods will be executed efficiently. Whether you are interested in monthly or weekly pool services in Buckeye, Universal Pool Services can help.